The current heavyweight division is pretty hot right now, with a number of contenders fighting to earn a shot at one of the ruling champions. We’ve just seen Britain’s Dillian Whyte emerge as a serious contender and threat to just about anybody via his brutal destruction of Lucas Browne, while other heavyweights, such as Dominic Breazeale and Jarrell Miller lurk in the background. Jennings and Dawejko have fought before, with Dawejko getting the upper-hand at amateur level, and this, Peltz says, is another of the subplots that makes this match-up such a good one. Peltz is high on this fight, as you can tell. So too is Jennings, who needs to win if he’s to ever get a second world title chance. “If he feels he got hosed in our amateur fight, I’m gonna down that M**** F***** in our pro fight,” he said. With plenty on the line, not least Philly bragging rights, this one could be lively, a “fun fight” if you like. 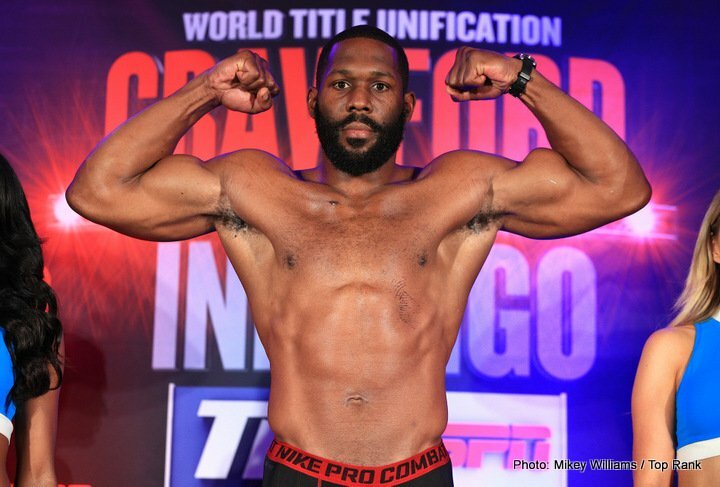 The more experienced (at pro level) Jennings has to be the pick to win, but Dawejko, who has been stopped just once (by future IBF heavyweight champ Charles Martin) is certainly coming to fight. A relatively short heavyweight at 5’10,” Dawejko has a fan-friendly style and he can punch. Jennings though, the older man by six years at age 33, has won his last three and feels he can rule the world one day. He has to rule Philadelphia first.